Salmat and Zoo Republic have launched an integrated campaign to raise awareness and drive donations for The Fred Hollows Foundation, an international development organisation focused on treating and preventing blindness in 25 countries around the world. The #Sketch4Sight campaign is a direct mailer idea that was born out of the “I Wish I’d Thought of That” Salmat Showdown, a hackathon competition that saw advertising creatives create a direct mail campaign for the Fred Hollows Foundation in 90 minutes.The winning team was Amanda Jennings and Edbert Wahjudi from Zoo Republic, and as part of the prize, Salmat has worked with Zoo Republic to bring this national campaign to life for The Fred Hollows Foundation. The campaign has kicked off with a mailer being sent to 80,000 homes nationally, asking the recipient to sketch a picture of a loved one, but to do it with their eyes closed. The task aims to highlight the challenges that people with cataracts face every minute of every day. 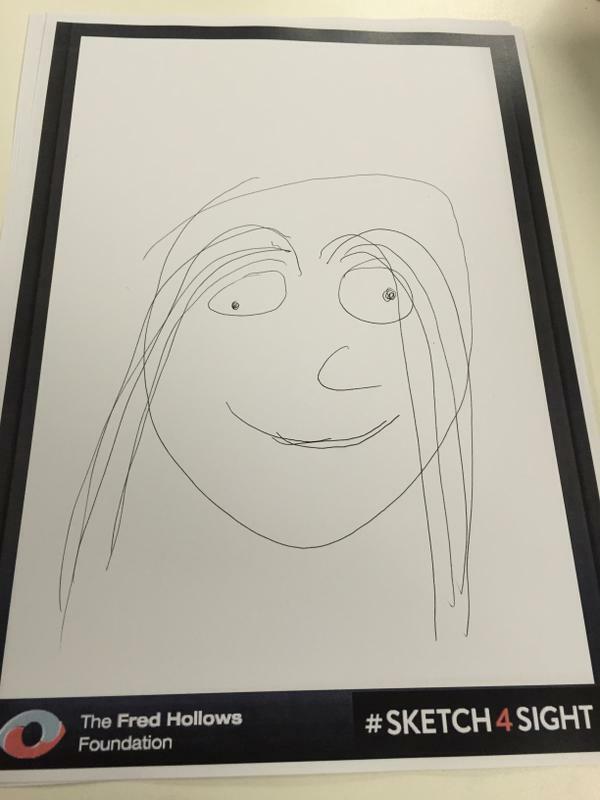 The recipient is encouraged to share their sketch on social media using the hashtag #Sketch4Sight, asking their friends and family to try the same challenge, while also donating to The Fred Hollows Foundation. Fred Hollows worked closely with Salmat to help identify potential supporters for this innovative campaign.